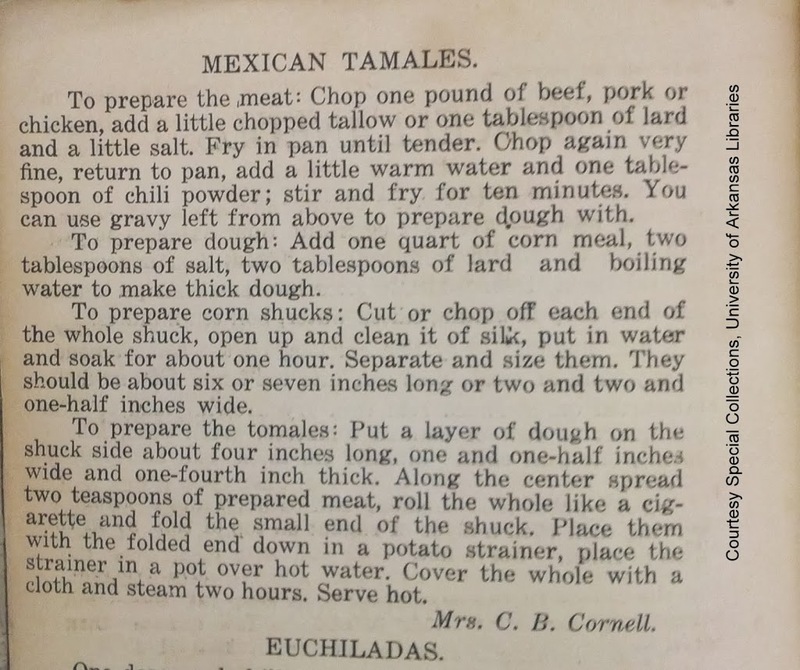 This recipe appears in a cookbook published by the Lake Village Methodist Episcopal Church South (today’s Lakeside United Methodist Church), around 1920. 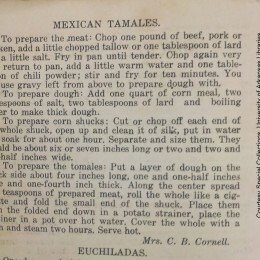 The cookbook is part of the Arkansas Cookbook Collection at the Special Collections at the University of Arkansas, Fayetteville. Anybody know who Mrs. C.B. Cornell was? She was living in Lake Village as late as 1946. 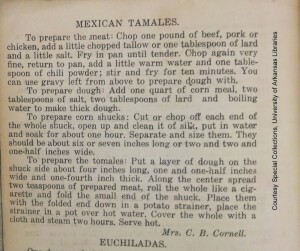 I wonder how these “Mexican Tamales” compare to Mrs. Rhoda’s Hot Tamales? Edward Allen Fulton, a former slave in Missouri and abolitionist in Chicago, served as Drew County’s only African American legislator during Reconstruction. Little has been written about this African American Reconstruction leader, politician and newspaper editor. 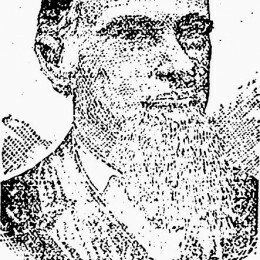 In 1866 he arrived in Chicot County to farm, later relocating to Little Rock. 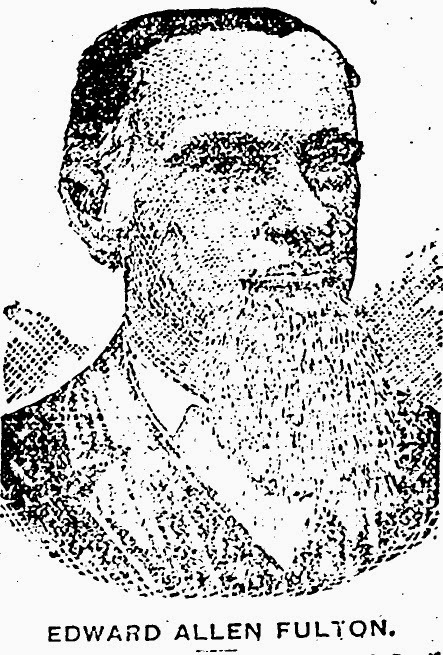 He returned to southeast Arkansas and Drew County in 1870 as a census taker and was elected the Arkansas House later that year. His career in Republican politics during Reconstruction proved to be controversial–he survived an assassination attempt (possibly by a Republican rival), later ran unsuccessfully for Secretary of State, and was an out-spoken proponent of Civil Rights.